I am totally in love with the Quilt Builder suite in the Holiday Catalogue (pages 4-5) If you are like me and not a sewer at all you can still appreciate the stitched, pieced look to this suite. 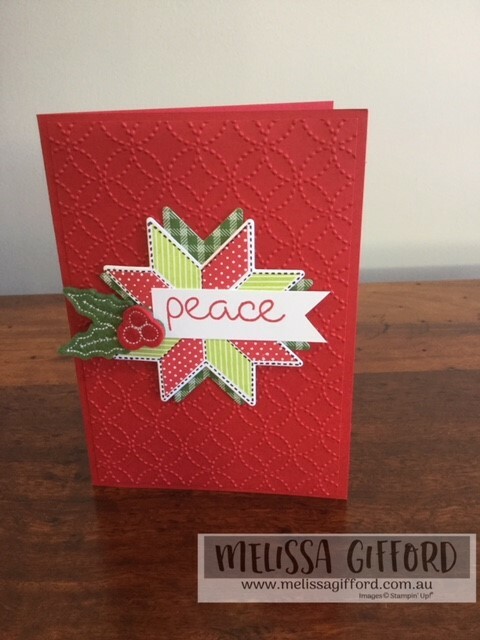 A little bit of stamping and a bit of die cutting and you will a pro in no time! 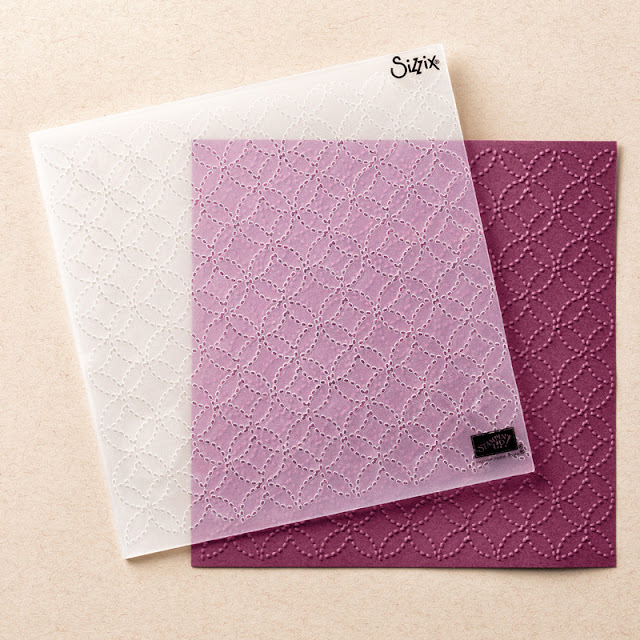 One of my favourites of this suite is the Quilt top embossing folder. It is a little bit hard to see in the catalogue and I missed it the first few times I flicked through. Boy am I glad I bought it though, it's stunning!! 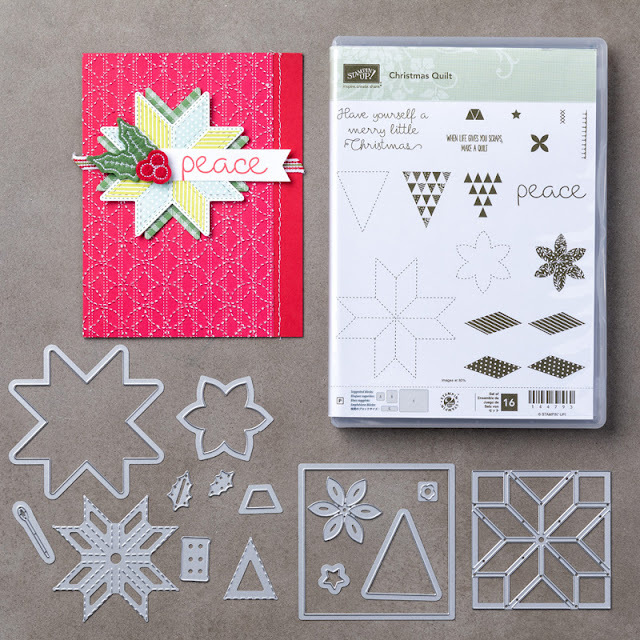 This bundle is so much more that just Christmas, just change up the colours for a beautiful card for any occasion. For my card today, I based it on the sample above in the Holiday Catalogue. But instead of using the designer series paper I chose to use real red cardstock. I love the rich look of it.